In order to enhance the liveability of Sarasota County in Florida, a Resource Management Area plan by the name of Sarasota 2050 was created to manage growth in the area by preserving it's natural, cultural, and physical resources. Sarasota 2050 is a detailed land-use plan that preserves open space and encourages construction of walkable, mixed-use communities with an incentive-based system. The first housing development built under this plan was the Grand Palm Community in Venice, Florida, by Neal Communities. The community demonstrates a successful approach for building in concert with local government while preserving the environment. Its 1,005 acres boasts over nine miles of connected wildlife corridors, a 32-acre lake, a six-acre adventure island (with two fishing piers and a kayak livery), and an 18-acre central amenity area for all ages. Grand Palm has uniquely created a harmonious balance between nature and man. Development on the Grand Palm Community began in 2012 and was projected to have 1,999 homes. It is a certified green community by the Florida Green Building Coalition (FGBC). 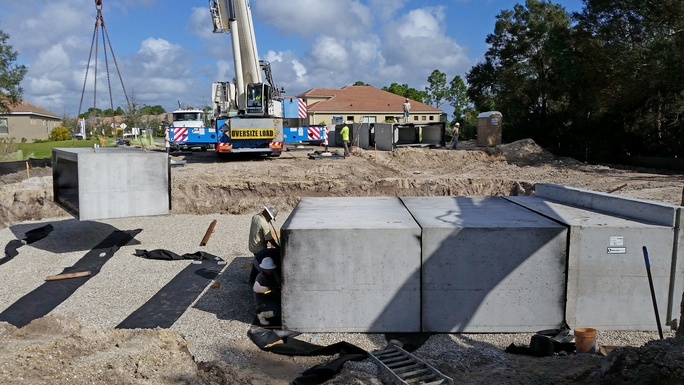 The Cape Coral location of Oldcastle Infrastructure, A CRH Company, supplied underground precast concrete products to build the stormwater and wastewater conveyance structures required around the community. Used as part of the wastewater and sewage system, sanitary manholes collect the wastewater and sewage, sending it into a lift station that pumps the wastewater from the on-site system to a wastewater plant via piping. 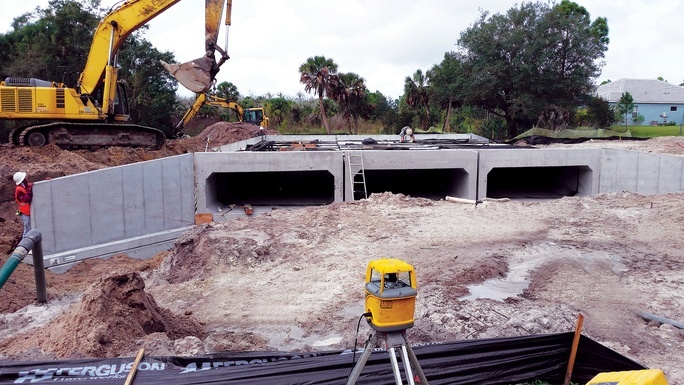 The precast concrete box culverts, head walls, and wing walls create several 750-linear-foot drainage channels, used to direct stormwater away from the community into the South Florida Water Management canal. The stormwater conveyance system reduces the damaging effects of accelerated stormwater runoff, soil erosion, and sedimentation during a storm event. 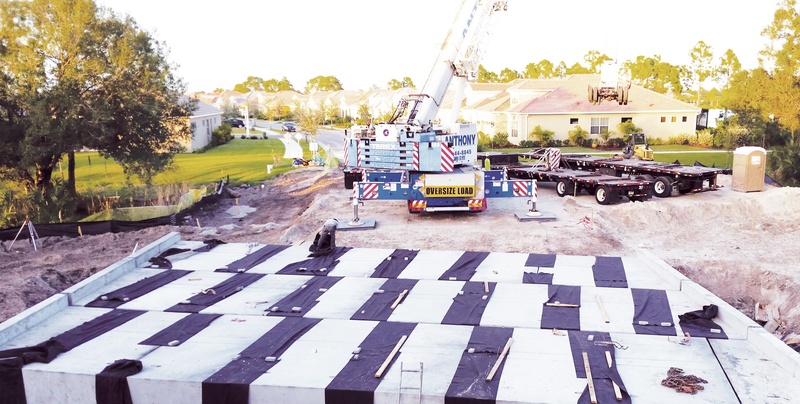 Oldcastle Infrastructure supplied precast concrete sanitary manholes, lift stations, inlets, box culverts, wing walls, and head walls for the community. Learn how you can reduce water runoff and more when you download our Guide to Stormwater Management eBook.